Figs by themselves are delicious, but I have always wanted to incorporate figs into my dish. I have also been looking for breakfast alternatives that are nutritious and some thing I can prepare the night before. 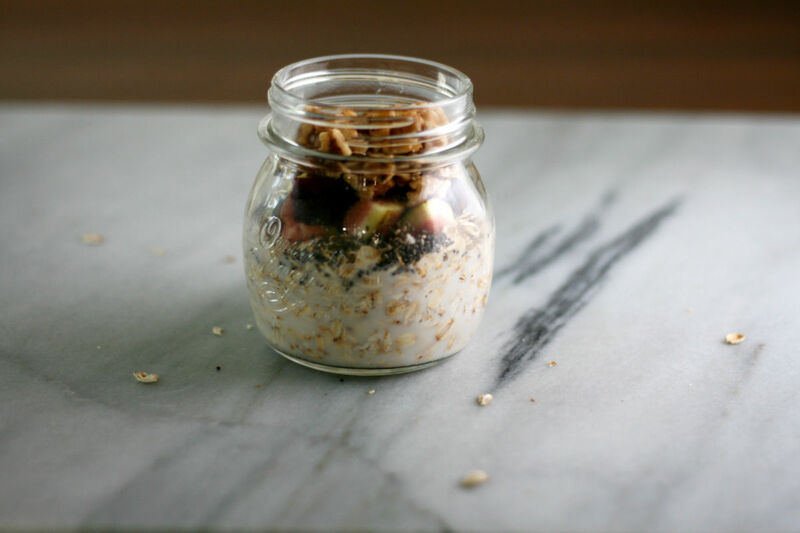 Overnight oats are straightforward. The idea is pretty simple, you take the rolled oats and soak them in milk, overnight, in the refrigerator. 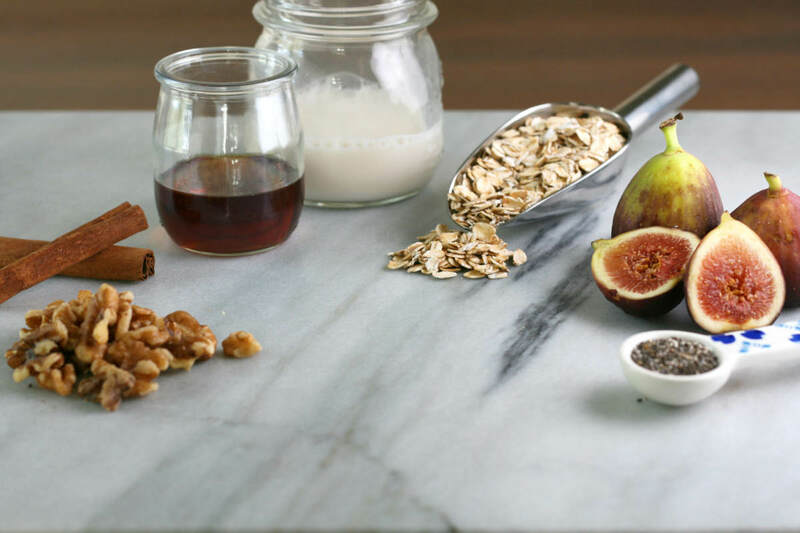 I tried a couple of different combinations with fig, but found figs with walnuts and maple syrup are hard to beat. In a mason jar, pour unsweetened vanilla milk. Next morning, open the lid and dig in!